Home / Blog / It’s official! 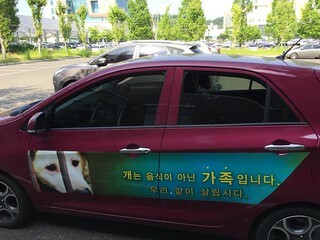 Jeonju is going “Dog Meat Free”. Jeonju will become the second “Dog Meat Free City” in South Korea, following in the steps of Bucheon, which, under the progressive leadership of Mayor Kim Man-Soo, last year began the process of shutting down its dog meat industry. 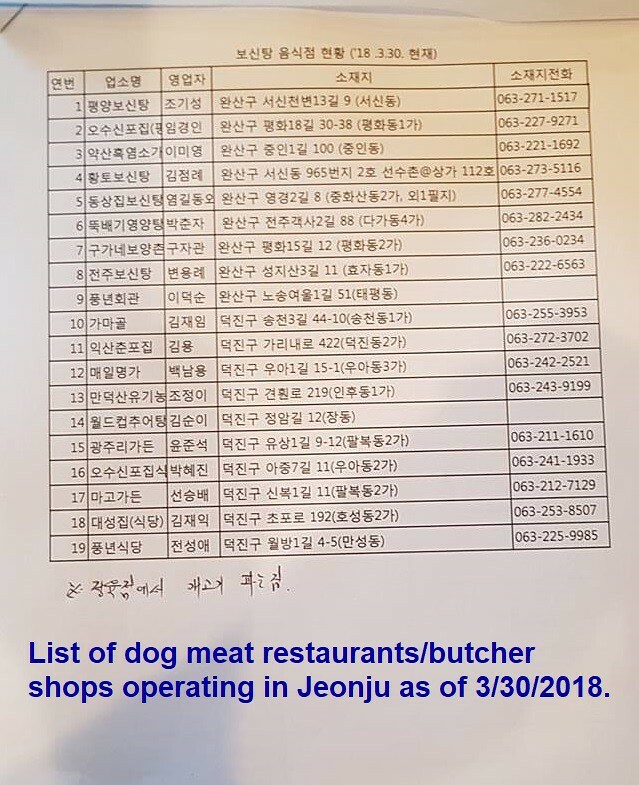 Jeonju’s transition into a “Dog Meat Free” city, Nami feels, will be a much quicker process than that of Bucheon; we certainly hope so. It was by no means an easy decision for Mayor Kim to make; he will have to face tough and potentially violent resistance from many of his constituents – those involved in the dog meat industry and those dog meat consumers. But Mayor Kim has shown that he is brave and patriotic to his country by making this right decision, one that will not only protect the animals from cruel treatment, but will further progress South Korea. We salute you, Mayor Kim! We previously held campaigns calling for action from Jeonju’s Sister cities and Friendship cities, to speak out against Jeonju’s dog meat industry: Hawaii, San Diego, and Florence, Italy. And now we are extremely happy to be able to update all of our supporters who took action on these petitions, by sharing this wonderful news with them. As a “Dog Meat Free City”, Jeonju is closer to becoming a world class and ethical city, with no barriers to forming beneficial and strategic partnerships with other cities around the world. Mayor Kim, we love you and support you, from all across the world. We also want to send a big ‘thank you’ to all of the following people in: Mayor Kim’s staff, SaveKoreanDogs.org, and Action for Animals, for making this momentous event happen. And, many thanks to Jess Avilla Gilroy for volunteering with SaveKoreanDogs.org and attending this important meeting to show support. Please help SaveKoreanDogs.org continue their important work of ending the dog meat trade in South Korea. Please donate today. Thank you for caring and for your generosity!! Photo: This campaign stickers will be on every bus stops. Photos: Campaign stickers on city vehicles. ‘동물친화도시, 전주’ 만들 밑그림 완성! 가장 인간적인 도시를 표방하는 전주시가 반려동물 놀이터 조성과 유기동물 보호센터 설립 등 동물들도 보호를 받으며 행복한 삶을 살 권리를 누리도록 만드는 동물복지 정책을 폎치기로 했다. 이를 통해, 지난해 기준으로 1,880마리 정도인 전주지역 개, 고양이 등 유기동물 수를 오는 2025년까지 절반 수준인 1,000마리까지 줄이고, 66.7% (개 기준) 수준인 유기동물 입양, 반환률도 90%까지 끌어올리겠다는 구상이다. 전주시는 17일 전북대학교 진수당에서 전주시민들과 함께 살아가는 동물들의 복지도 챙기기 위한 동물복지 중장기 로드맵인 “동물 복지 마스터플랜 연구용역”의 최종보고회를 개최했다. 이 자리에서 용역수행기관인 전북대학교 산학협력단 (책임연구원 임채웅교수)는 “동물친화도시, 전주”를 비전으로 지난해 12월부터 약7개월 여 동안 추진해온 분야별 동물복지 실태조사, 동물복지 선진국과 국내 동물복지 정책의 비교 분석을 통해 동물복지 정책의 기본 추진방향과 정책 사업을 발표했다. 특히, 동물친화도시 전주를 만들기 위한 분야별 추진사업으로는 , 반려동물, 유기동물, 길 고양이, 전시 동물/실험동물, 시민참여 등 5개 분야의 19개 단위사업을 추진할것을 제안했다. 먼저, 반려동물 분야에서는 완산구와 덕진구에 각각 1곳씩 반려견 놀리터를 조성해 이용할 수 있도록 만들고, 동물등록제도의 올바른 정착과 실효성 확보, 유기 동물 등록율 향상을 위한 제도개선을 추진할것을 제안했다. 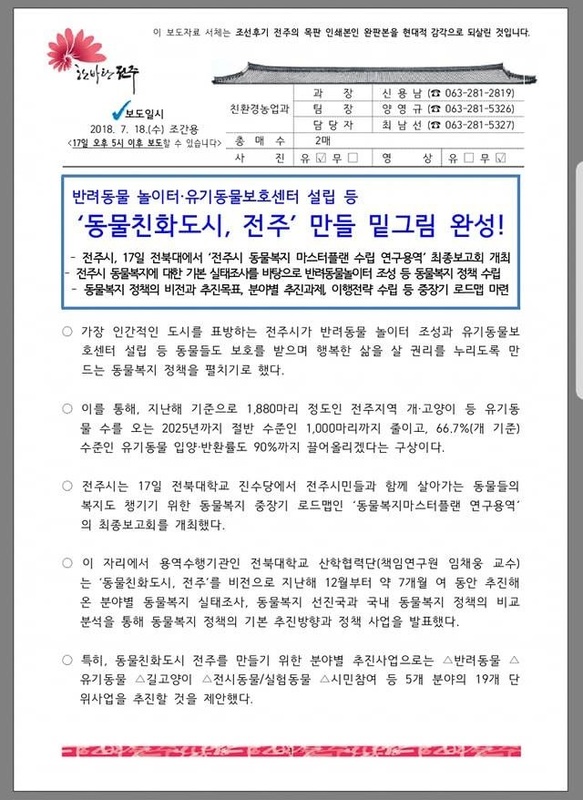 또, 신종산업 법제화와 기초생활수급자 등 취약계층 반려동물 중성화 비용 지원 내용도 담겨있다. 또한 , 유기동물 분야에서는 유기된 동물의 보호를 위해 유기동물보호센터를 조속히 설립하고, 동물유기 방지를 위한 동물 등록제 개선, 구조 및 보호 제도, 가정 등 임시보호제도, 입양확대를 위한 방안 마련을 제안했다. 이외에도, 시민 자원봉사자 협조망 구축, 길 고양이 급식소 운영, 전주 동물원 복지 기준 마련, 초, 중,고 동물실험 금지 권고, 동물명예감시원 확대, 동물복지다울마당 시민 참여 확대 등 길고양이와 전시, 실험 동물, 시민 참여 분야의 추진 사업들도 동믈 복지 마스터 플랜에 포함됐다. 시는 이날 최종보고회에서 제안된 동물 복지 마스터플랜에 대해 담당부서의 검토와 동물복지다울마당 및 동물보호단체 등의 의견 수렴, 세부 조정 등을 거쳐 전주시 동물 복지의 밑그림을 완성할 계획이다. 이에 앞서, 시는 반려동물들과 생활하는 시민들이 갈수록 증가하면서 동물 복지 침해 사례와 반려동물로 인한 갈등도 증가함에 따라 지난해 12월 부터 전북대학교 산학협력단과 함께, 동물에 대한 복지 실태조사, 전주시 동물복지 기본방향 및 정책목표 설정, 세부정책사업 발굴, 다양한 계층이 참여할수있는 동물복지 시스템 구축방안 등을 위한 연구용역을 추진해왔다. 전주시 관계자는 “반려인들이 꾸준히 늘어가고 있는 추세에서 진행되는 이번 연구용역 결과를 바탕으로 단기적으로 실현 가능한 사업들은 사업 추진을 적극 검토 할계획이며, 중장기적인 사업들에 대해서는 관련 기관 (부서)등과 긴밀히 협의하여 반려동물의 복지를 향상시키고 반려인들이 공감할 수 있도록 사업추진에 최선의 노력을 다할것” 이라고 말했다. Establishment of a Companion Animal Park, Abandoned Animals Protection Centers, Etc. 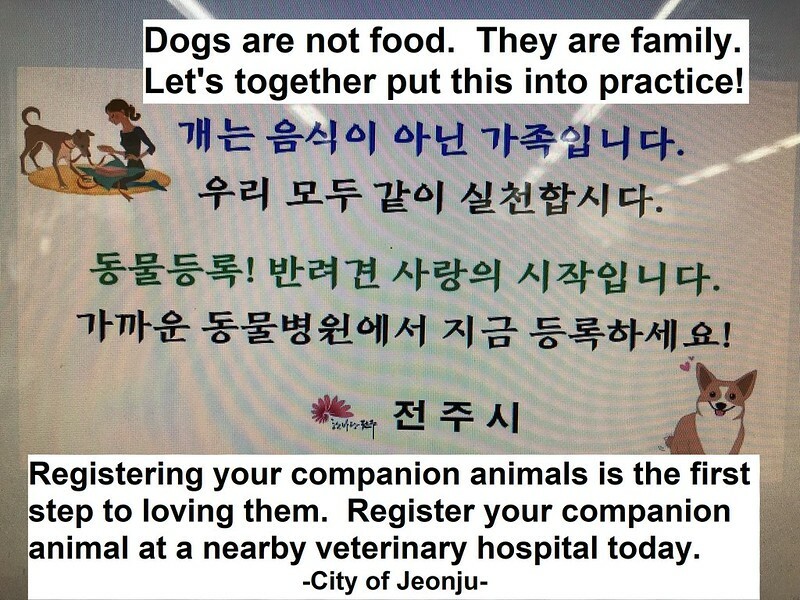 The Draft to Make Jeonju an “Animal Friendly City” is Complete! •	On July 17, the City of Jeonju held the final briefing session of “Jeonju Animal Welfare Master Plan Establishment Research and Service” at the Jeonbuk National University. •	Based on the investigation of Jeonju’s current animal welfare condition, an animal welfare policy was established that includes construction of companion animal parks. •	The draft is a roadmap of both medium and long-term visions and goals for the animal welfare policy, projects by different areas, establishment of implementation strategy, etc. With a desire to become recognized as the most humane city, Jeonju will be adopting animal welfare policies that protect animals, bestowing on them the right to enjoy a happy life by creating companion animal parks, abandoned animals protection centers, etc. Jeonju expects that by 2025 these policies will reduce to no more than 1,000 the number of abandoned animal (such as dogs and cats) which last year numbered about 1,880; raise the adoption rate of abandoned animals to 66.7%; and increase to 90% the number of animals reunited with families. The final briefing session of the “Jeonju Animal Welfare Master Plan Establishment Research and Service,” which creates a strategic roadmap for the provision of care for animals sharing their lives with Jeonju citizens, was held on July 17 at the Jeonbuk National University’s Jinsudang Hall. With the vision of “Animal Friendly Jeonju”, since December of 2017, Lead Researcher Professor Im Chae-Woong of Jeonbuk National University’s Industry and Academic Cooperation Institute, has been conducting an investigation of current animal welfare conditions in Jeonju. Based on his research that includes comparative analysis of countries with advanced animal welfare policies and our current local policies, the basic direction of the animal welfare policy and its projects were announced. 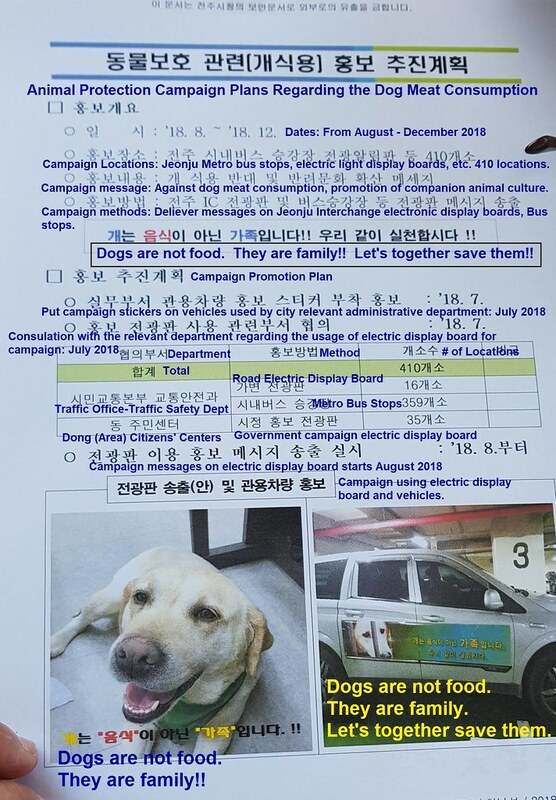 To make Jeonju a city friendly to animals such as companion animals, abandoned animals, stray cats, and exhibition animals/laboratory animals, and to encourage civic participation, 19 projects in five fields were recommended. First, they suggested construction of one companion animal park each in Wansan-gu and Deokjin-ju districts, as well as strengthening the policy to secure effectiveness of the animal registration system and increase the registration of abandoned animals. Also included is support for new industry regulations as well as financial support for the spaying/neutering of companion animals belonging to low income and disadvantaged individuals. With regard to abandoned animals, it was recommended that, as quickly as possible, plans be crafted to include the establishment of animal care centers that would protect animals, improve the animal registration system to prevent animal abandonment, develop a system of rescue and protection, create a temporary care system such as foster homes, and expand animal adoption procedures. Additional projects contained in the animal protection master plan included stray cats and laboratory animals; establishment of a citizen volunteer network; the operation of stray cats feeding stations; welfare standards for zoo animals; advising prohibition of animal experiments in primary, middle, and high schools; expansion of the animal protection advisor system; and increased participation by citizens in a public-private partnership governance for animal welfare (“daulmadang”). As the number of people living with companion animals increases, so has the number of cases of animal welfare violations. This rise in the poor treatment of companion animals is what led the city to contract with Jeonbuk National University Industry and University Cooperation Team to begin their investigations and make recommendations to improve animal welfare. The city plans to review the proposed animal welfare master plan with relevant city departments, gathering opinions from public-private partnership governances for animal welfare and animal protection groups, and fine tuning the master plan to complete the draft for Jeonju’s animal welfare. YES! THANK YOU FOR ALL YOUR HARD WORK AND MOMENTUM! Excellent news.Well done. Hope your success in stopping DCMT in your city will spread to the rest of South Korea and beyond. Are stray dogs and also all cats protected by you in the same way ? Thank you so much for this brave and human descion!Best wishes from Germany! 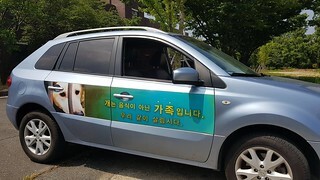 Thank you so much for this wonderful decision and subsequent plans for the animals of Jeonju! May all of South Korea’s cities follow in Jeonju’s footsteps! Thank you so so much mayor Kim!! This is fantastic news. Thank you to all of you who worked so hard for this. Just amazing!!!! Thank you to everyone who stopped this!! Thank you all for the hard work and persistence! And of course Mayor Kim for your wise decision! Mayor Kim, Words cannot express the joy I feel in reading this article! Thank you for demonstrating such leadership and vision, and for teaching kindness and mercy for those poor dogs and cats so viciously treated in the meat industry. Thank you to all that helped make this happen!! Many many thanks to “South Korean Dogs “for negotiating instead of merely asking for money to shut meat farms down just for the farms to start up again! Negotiating really IS the only way! Words can’t express how glad I am for these animals thank you to all concerned. Mayor Kim, thank you for taking a stand and doing the right thing, regardless of what others think. You are a true leader! Thank you for spending the time with my hero, Nami Kim and her team to listen and make a difference. Much love to you all. Thanks to all of you who fought against this crime. Thanks for being voice of unspeakable. Thanks for fighting them and on behalf of them. Well done , great job.. Really Really very appreciable.. May God Bless you all with long and prosperous life ahead. Thank you for your courage, going against the current is not easy but you are an example to follow. Do not give up please! A truly caring individual… thank you!! Thank you, Mayor Kim, and everyone else involved in making this happen! This is a joyeous day! This is a great step, Mayor Kim. You are an example that many could follow and I hope that they do. Than You SO much for Your caring!! !